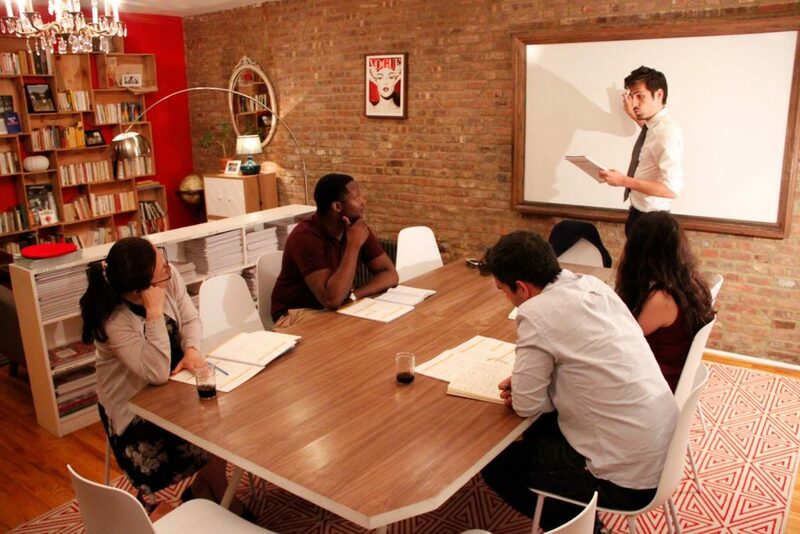 Coucou provides group or private French classes for adults in NYC and LA. You can sign up for group classes small enough (10 students maximum) to provide you with an optimal amount of speaking time and personal attention. Combining language with culture is why our classes are simultaneously fun and useful. In class, we will teach you all about the Parisian music scene, the 35-hour work week, and proper French table manners… in French. Our teachers are all native French speakers for a 100% authentic experience. Our centrally-located flagship location is easily accessible from all five boroughs. Classes are held 7 days a week throughout the day at our Nolita headquarters, with many offerings for all levels of proficiency. 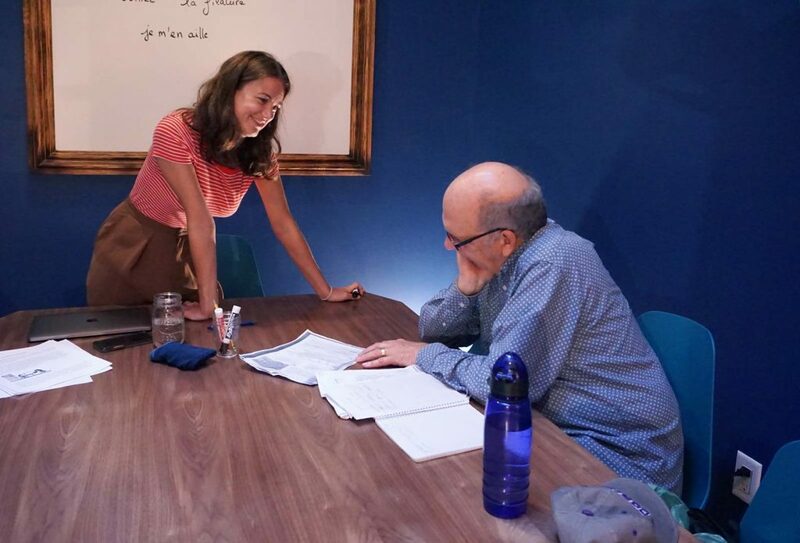 Join us for a group or private lesson at Coucou Los Angeles! 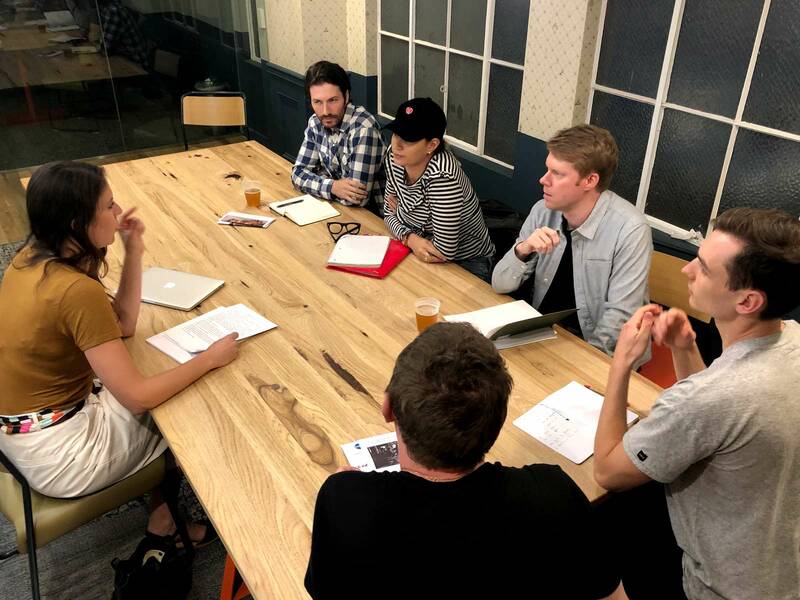 First Coucou hire and recent L.A. transplant Margaux is running operations out of our Downtown L.A. office, along with a team of great teachers. Classes are also offered in Pasadena. 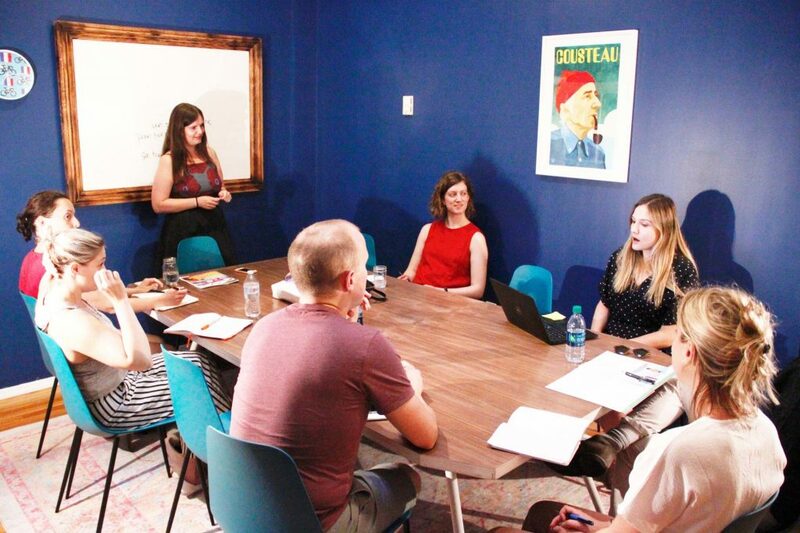 Whether you are a French company with offices in the US, or any institution who wants to encourage further education and team bonding, you can benefit from your employees learning French! Meet privately with one of our teachers at flexible times; a curriculum made to fit your specific needs and interests and adapted to your own pace.